Chocology Unlimited | Chocology Today tagged "chamberofcommerce"
At Chocology, gratitude is something that we cultivate every day. We have so much to be grateful for and Saturday, October 24th was no exception! We’re still flying high with all of the excitement we experienced by participating in the 8th annual A Taste of Port Jefferson, organized by the Greater Port Jefferson Chamber of Commerce. 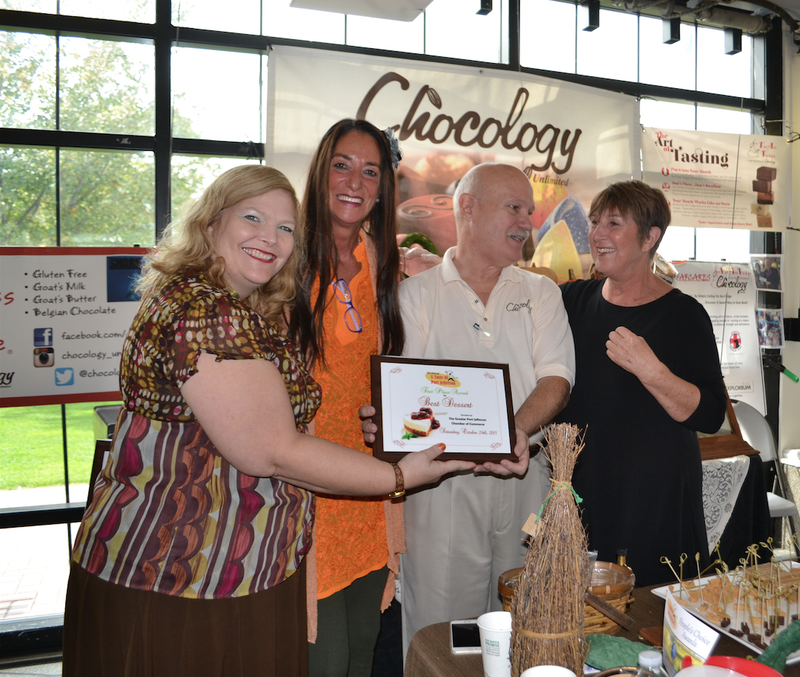 Chocology was presented with two first place awards for best dessert - both by the Port Jefferson judges and by the People’s Choice. We were so honored to receive both awards and so grateful to everyone who took the time to come out. We believe that our philosophy of RED ~ Relationships, Education and Distinctiveness ~ is what helps us at Chocology to achieve our goals. We value our relationships with our customers and aim to educate them about the chocolate that they eat. We teach our patrons the Art of Tasting mindfully, which helps them to taste the distinct and subtle flavors that might be missed by rushing through a tasting. We believe that by slowing down and appreciating the experience, we enjoy the finer things in life so much more! 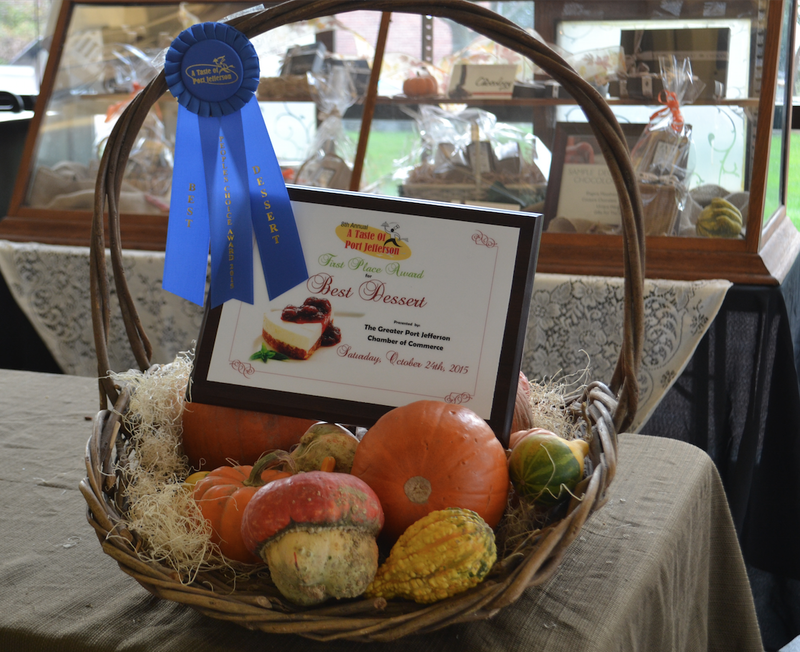 We are so grateful to everyone who stopped by our booth at A Taste of Port Jefferson and want to personally thank all those who voted for us. We would also like to congratulate some of our friends who also won awards at the event. Danfords Hotel and the Wave Restaurant won the People’s Choice award for best food and drink overall and also the judge’s award for best over all table display. 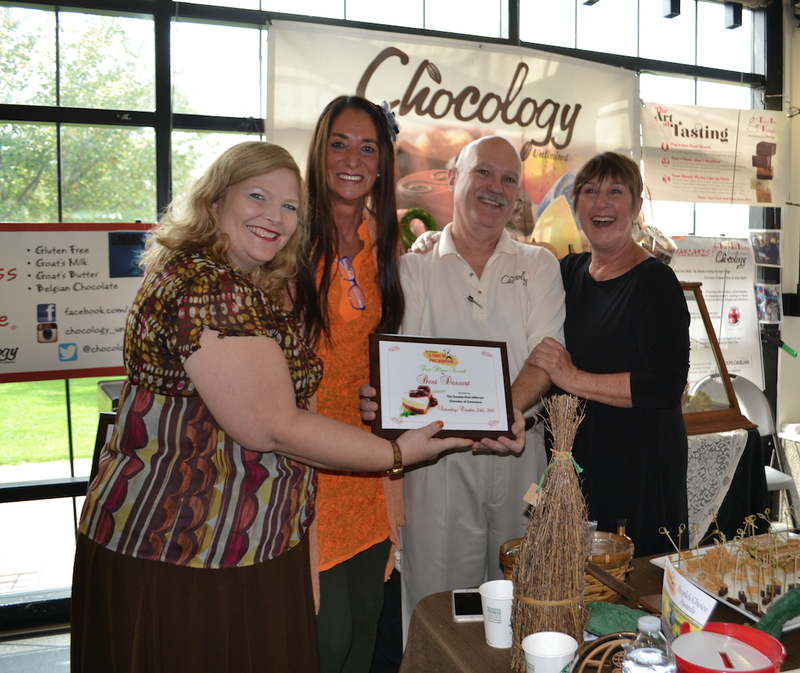 The Fifth Season Restaurant won the best Overall Food and Drink presentation. Smoke Shack Blues won the Best Signature Dish. The event would not have been possible without help from the sponsors. With much gratitude, we would like to thank Long Island Creative Contracting, Jolie Powell Realty, Times Beacon Record Newspapers, Karras Agency Insurers, St. Charles Hospital, Smoke Shack Blues, AXA Advisors, YELP, Live It Up!, and of course the Chamber of Commerce. We appreciate your support of this fun event and look forward to future years of participation. 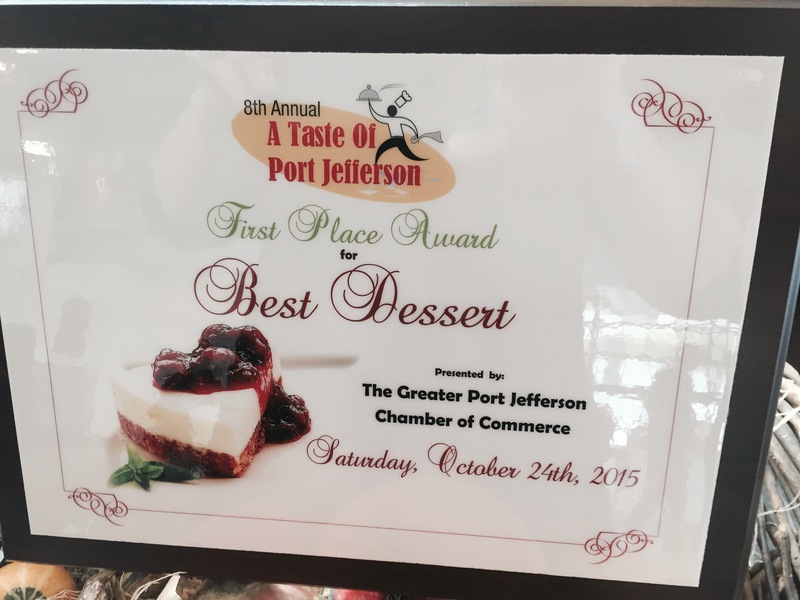 What a wonderful way to spend a weekend; great people, great food, great beer, great wine, great desserts and two awards. Now that’s a taste of sweet gratitude!